Don’t be affraid of using a hair-shaver even if you do not want to go bald. Ladies’ undercut hairstyles 2016 also called just undercut, are decorated now with tattoo. Shaven hair. It is not the exact name for the trend which is really in now. Even though it might come at first. The more accurate name is undercut hair or undercut hairstyles. This a bit extreme style when you cut not only your short hair but quite often you cut whole parts of long hair this is a trend which doesn’t get its exact fashion style. it misses a tattoo on the top of that. This time, I do not mean the classical one but tattoo made in hair, to which are shaved the individual shapes at a different height of hair or the skin completely. 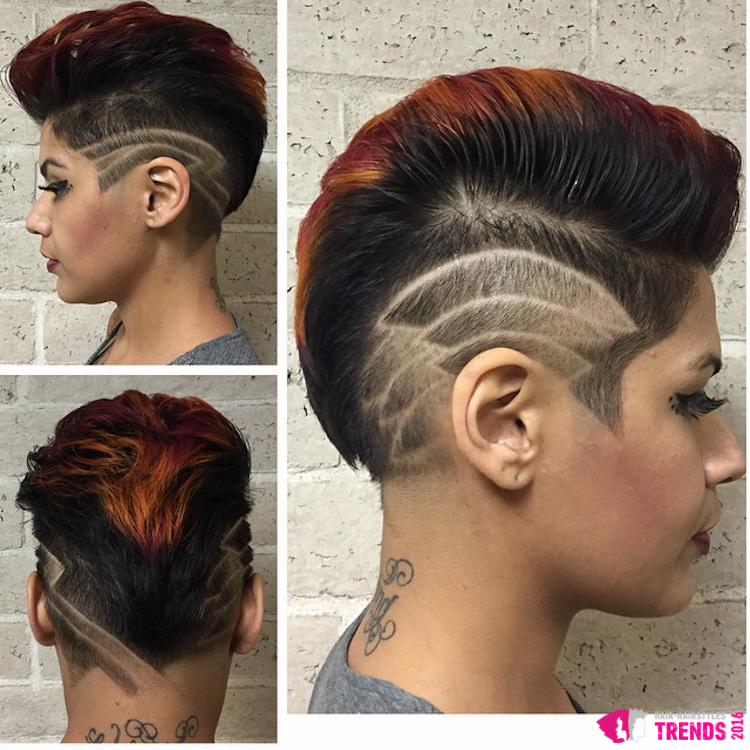 Undercut hairstyles with tattoo are fashion trend of the season. It suits to short, half-long and long hair. It asks for courage and keep in mind that it need to be maintained. You just need to visit your hairdresser more often than usual. Tattoo in hair can be shaven or layered with the different heights and layers of hair, or even completed with color, or bulit on painted patterns completely. Undercut hairstyles with a tattoo is a real hit. Literally the younger generation is a sucker for it but for me it would be a pity if this trend remains only in the category of hairstyles for young people. It makes a trendesetter from you in your thirty, in your forty it will give you pizzazz and in fifty it will make you a fashion icon and in sixty it helps you to lose ten to twenty years. Neither blond nor brunet. Neither long nor short. 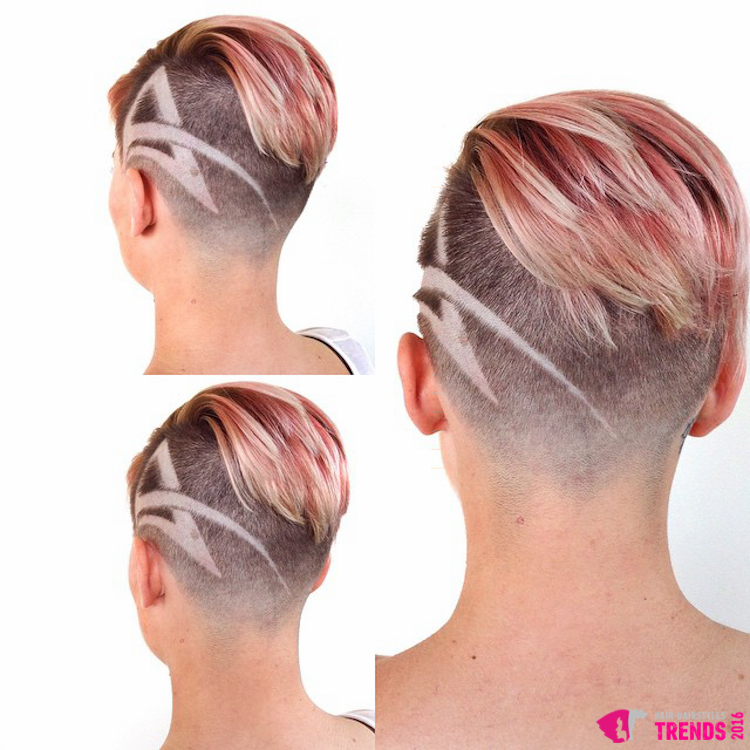 Pink highlights, undercut hairstyle and shaved tattoo in hair – the more trendy short hair you can hardly find. It’s cool style which is a hit among both men and women. But it has one drawback. Undercut hairstyles are generally more difficult to maintain. 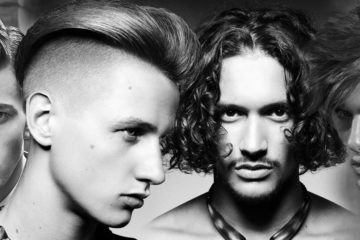 While you find time for your hairdresser once a month, sometimes even only once every two or three months, undercut hairstyles need maintenance more often. You can engage family and friends but not everyone has the courage to entrust your hairstyle into the hands of non-professionals. Hair grows rapidly and even more difficult to maintain are the undercut hairstyles with tattoo. Undercut hairstyles with tattoo ask for hairdresser visit more often than you like it. Or get a friend, sister, brother or anyone for your tattoo passion who doesn’t have shaking hands and have courage to help you with weekly maintenance. I know from my own experience that undercut tattoo wants improvements once a week. 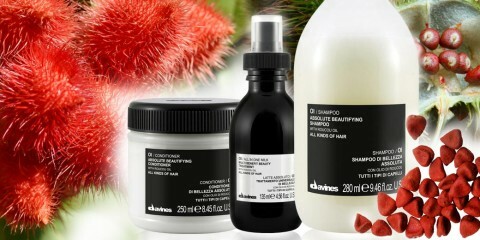 There is an advantage when you have it hidden beneath parts of longer hair. Until it is perfect you can show it off when your long hair is combed into a bun or ponytail. When the tattoo has his best moments behind and becoming overgrown you loose your hair again and until you find a moment to visit the hairdresser, you don’t show it off. 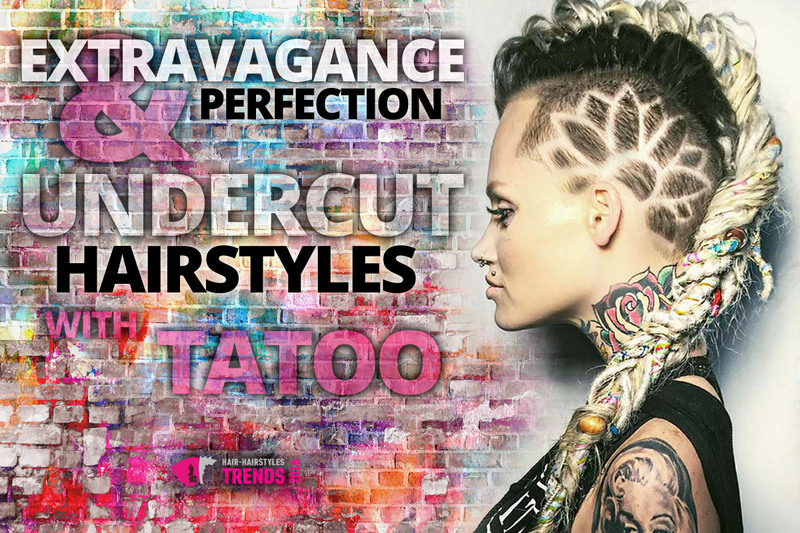 This is the most common style how the undercut tattoo can decorate long hairstyles. When you want you show it off and when you don’t want you keep it hidden. Instead of on nape it could be seen hidden under long hair either on temple sometimes. But it is less desctructive to cut hair on nape than on temple. 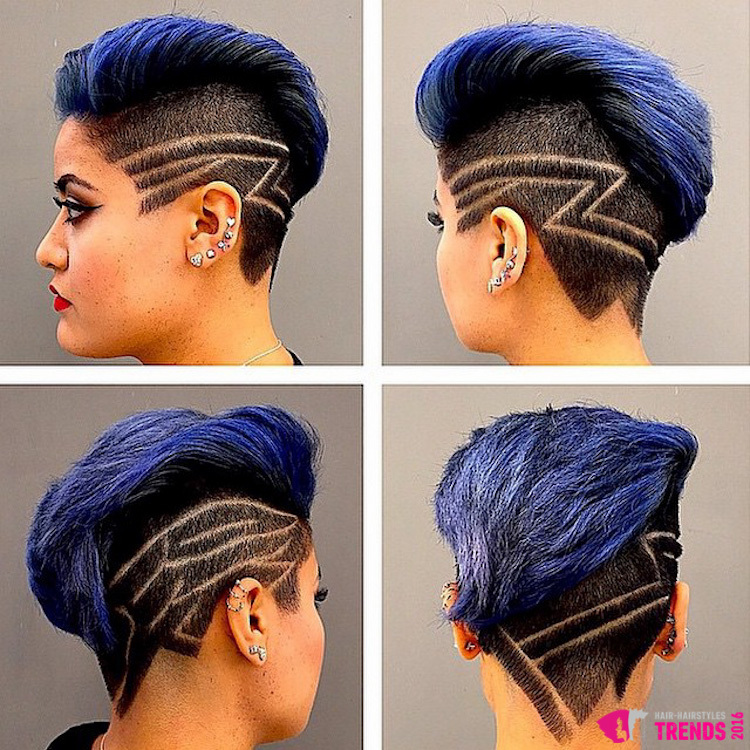 Gorgeous undercut hair looks very graphically. Definitely it excels better on darker than lighter hair. Although for stressing out are soft pastels sufficient. But either way, it looks beautiful with bold colors. Blue, red or purple hair is not bad. Be carefull only when dyeing not to dye the skin as well. 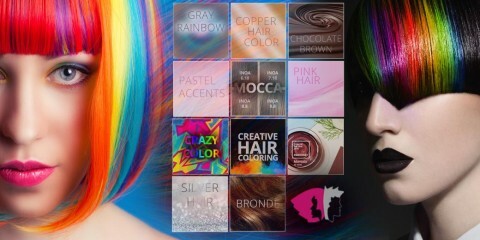 Undercut hairstyles look fancy in multiple colors. 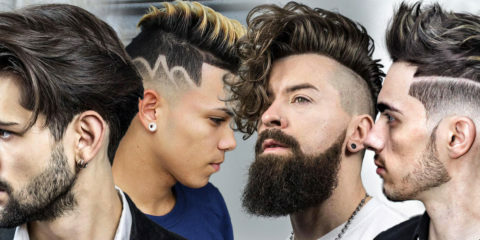 Undercut haircuts can make now even as well as layered haircuts which is not on the skin only but nicely layered individual hair parts and then accentuated with color. And you can even play more and “draw” different patterns on shaved parts. It may be your favorite animal patterns or feel free to get the whole blossoming meadow.